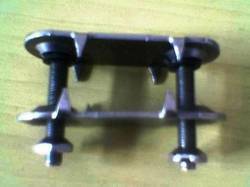 Hawk Type There are 5 sizes of Belt Fasteners (Hawk Type) Double Bolt. Size 1, 1 1/2 , 2 , 2 1/2 , 3 and more all sizes and material available. Spares, set and boxes. Riveted, Hawk type for belt of all tensions and thickness. Conveyor belt fastener hock type guaranteed equal to any imported one sizes available in : ½, 2, 2½, 3 made from special tested material available in different ranges. 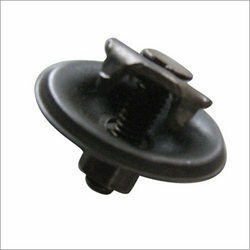 Backed by proficient quality team, we are able to offer superior quality conveyor belt fasteners. The main area of application of the arched plate conveyor (type BPB) is bunker discharging of moist and sticky conveyed goods, such as loam, marl, natural or FGD gypsum, anhydrite, pozzolan etc. The heavy duty design (type BPB-S / BPB-SF) is often used for intake and transport of as mined material.